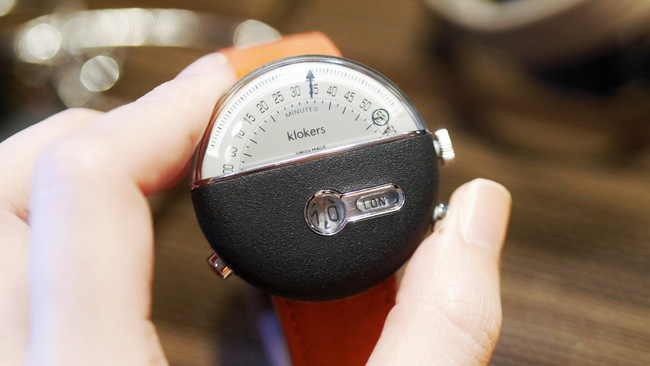 Klokers presents their first model, KLOK-01, in Singapore. It will retail for S$699 at Ante at Tangs Plaza and Ante at Takashimaya. In the age of smartwatches and fitbits, the intricacies of a mechanical timepiece may have lost its glitz and glamour. Many would defend that no iOS update nor animated wallpaper could ever replace the beauty behind the meticulously designed gears. Still the new age calls for a new look; an alternative approach to these engineering marvels. And, this spring, Nicolas Bourtherin and Richard Piras answered the call with their visionary watchmaking concept, Klokers. 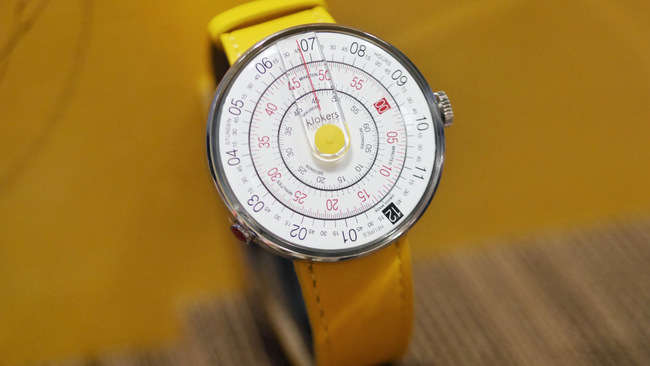 The unique face of the KLOK-01 (S$699), their very first model, takes inspiration from the side-rule, a mechanical analog “computer” invented in the 1600s. Scientists and engineers of the 1950s and 1960s would find using this tool as familiar as us scrolling through Instagram on our smartphones. It was the arrival of the electronic scientific calculator that eventually made this ingenious tool obsolete, and, it would have been such a waste to just leave it at that. Neither vintage nor retro, but part of a transverse reality. The KLOK-01 features three rotating disks displaying time along a vertical line. Needless to say, they each represent the hours, minutes and seconds. The concentric rings rotate at different speeds, making the dial (as Klokers puts it) “a symphony of motion”. 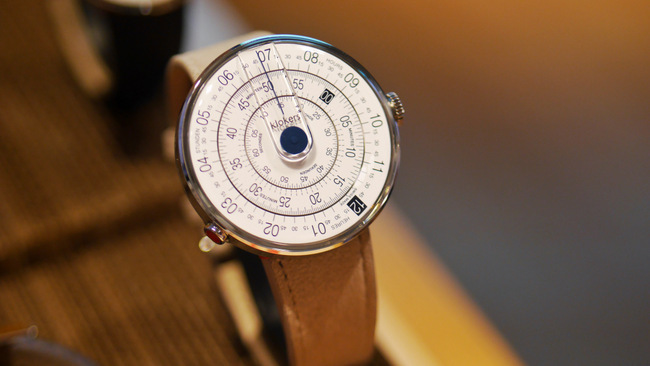 Klokers presents the KLOK-02 in Singapore. It will retail for S$1,499 at Ante at Tangs Plaza and Ante at Takashimaya. 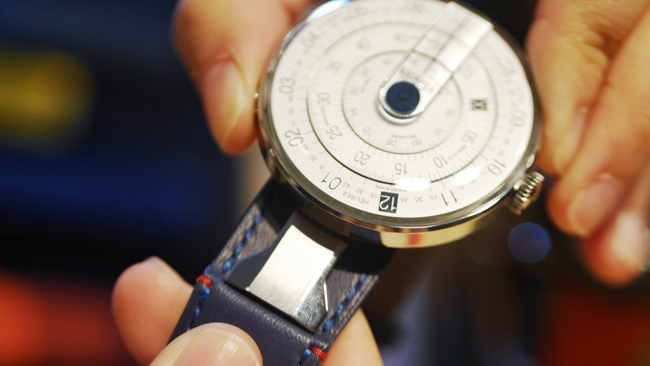 Based on the concept of time zones is their KLOK-02 (S$1,499). The large arc of the retrograde minutes and seconds sweeps across the top section, with a small section of time jumping between cities and their time zones. A longer press on the pusher will reveal the date, making it a great addition to a frequent traveler’s arsenal. Both KLOK-01 and KLOK-02 feature an easy “clip-on” design. 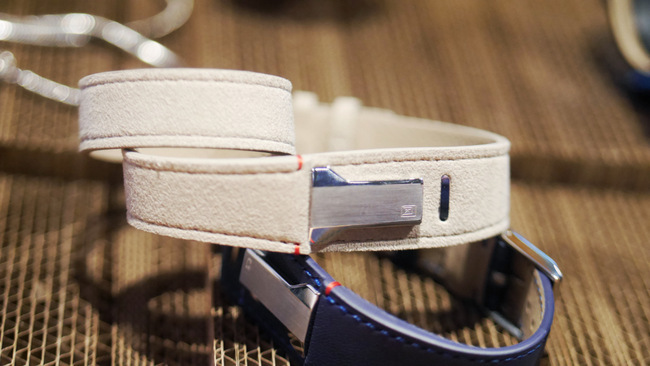 It allows wearers to switch between various straps. 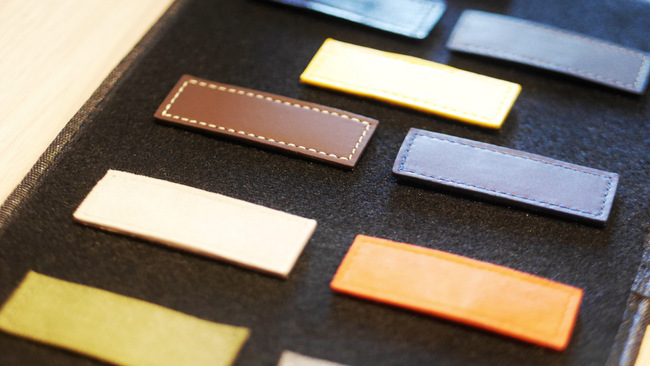 Single leather straps (S$199) will also be available for both of Klokers’ design. The time piece are designed to be yours. 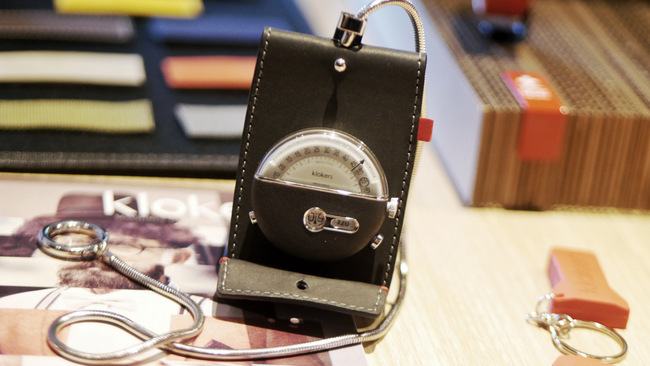 Both models feature an easy docking system for wearers to switch between a range of single leather straps (S$199) or as a fob. The double leather strap (S$249) is a more feminine option. The neutral colours of white or navy blue alone has me in option paralysis. Double leather straps (S$249) will also be available for both of Klokers’ design. Both KLOK-01 and KLOK-02 feature an easy “clip-on” design. It allows wearers to switch between various straps, or, as pictured here, as a fob which doubles as a stand. Klokers have created a visually engaging way to tell time by combining technology, movement and the spatial conveyance of information. The science student in me can’t help giving the KLOK-01 another look, despite my over-dependence on my smartwatch. Klokers will be available from 14th February 2017, for the first time in Southeast Asia, at Antė @TANGS Plaza and Antė @Takashimaya.